Check this video featuring France’s Rizote doing multiple styles with multiple tools. This video is one of the earliest videos to inspire Handstyler due to the variety and originality of Rizot’s handstyle. In the video, RIzote does backwards tags, upside down tags tags with spray paint, tags with mops and markers, tags with weed sprayers and fire extinguishers, drippy tags, clean tags, and much more. 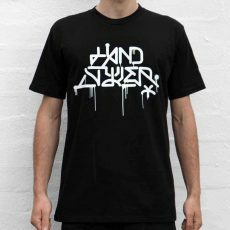 Check it out below, and also check the dope t-shirt design he did for Handstyler in the shop. 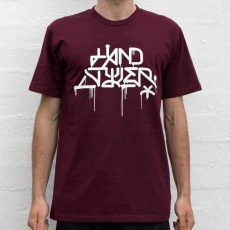 Check out the Handstyler t-shirt designed by Rizote in the shop.